Vitamin A is an important fat-soluble vitamin. A fat-soluble vitamin is one that the body can store within the fat cells, holding onto it for when its needed. Vitamin A is essential for many metabolic processes. It helps keep our eyes clear, our vision strong, and our skin glowing. Vitamin A also aids lung health and bone formation. You don't need to take supplements to obtain the daily minimum requirement of vitamin A. 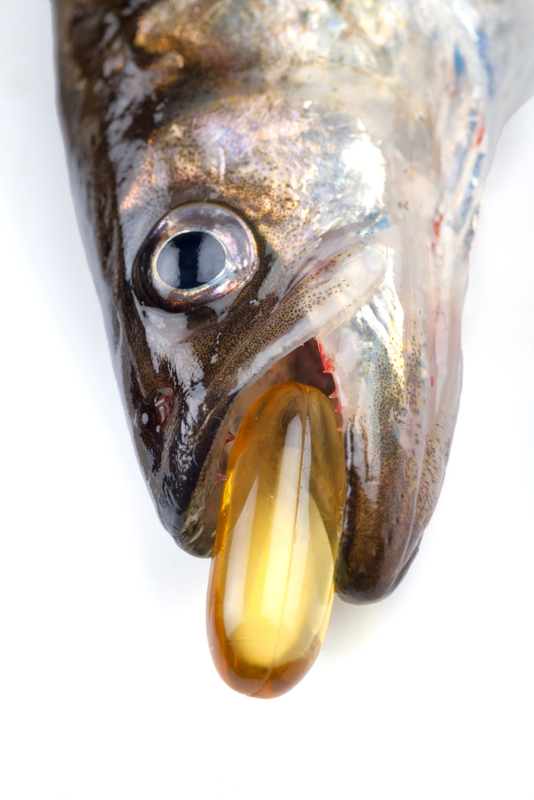 In fact, supplements may do more harm than good in the case of this vitamin. It's easy to obtain as much vitamin A as you need from food. Because vitamin A is fat-soluble, it's easy to take too much when taking supplements. Too much vitamin A can cause birth defects in babies of pregnant woman taking extra A, as well as liver problems. Adding vitamin A through food sources is safe, plus you have the added benefit of other vitamins, minerals, fiber and more. There are two forms of vitamin A in food. One form, found in meat and animal products, is called preformed vitamin A. It is one of the most easily absorbed forms and comes directly into the body as retinol. Retinol is one of the most active or usable forms of vitamin A. Liver, milk and eggs are good animal sources of vitamin A. Fortified cereals also contain added vitamin A. Many vegetable sources are rich in vitamin A. Carrots, spinach, green leafy vegetables, and even sweet cantaloupe all contain more than 100 percent of the RDA for vitamin A. Try making a delicious fruit and vegetable blended smoothie. Simply blend one cup of green leafy vegetables, water, and cantaloupe for a vitamin A rich shake. Which vegetable do you think of when you think of vitamin A? You probably think of carrots. They're rich in vitamin A, easily containing more than two times the recommended daily allowance of vitamin A in one serving. While it's great to snack on raw carrots, cooking or juicing carrots makes it easier for the body to use the vitamin A and other nutrients. Vegetarians shouldn't worry. There's plenty of vitamin A sources in the plant kingdom too. Vitamin A obtained through fruits and vegetables is called provitamin A carotenoid. This form transforms into retinol in the body. While the form found in carrots is more easily used by the body, green leafy vegetables, such as spinach, are an excellent source of vitamin A. They also contain vitamin K, folate, fiber, and a plethora of other vitamins and minerals. Spinach contains over 11,000 units of vitamin A, or more than 200 percent of the RDA. Vitamin A is necessary for many of the body's metabolic processes and systems, but especially important for eye health. Nature provides not only vitamin A in foods such as carrots and spinach, but also elements such as lutein, another compound essential for eye health. Vitamin A is also essential for strong bones. Vitamin A, along with minerals such as calcium and other vitamins like vitamin D, provide what the body needs for bone growth. Strong bones prevent osteoporosis, a leading cause of bone fractures and hospitalization among the elderly. Recent headlines suggest that vitamin A can help lung cancer. Unfortunately, the use of vitamin A supplementation therapy for lung cancer is highly controversial. Most scientists believe a combination of vitamin A, beta carotene, and other elements in vitamin A-rich foods may help some cases, but not all. It doesn't hurt to include these foods in the diet, and it may help, but one should seek and follow medical treatment for serious diseases like lung cancer. Vitamin A may be prescribed by dermatologists, or physicians specializing in diseases and treatment of the skin, for acne and skin disorders. Many acne drugs, such as Acutane, contain derivatives of vitamin A. Please consult a dermatologist if you'd like to try vitamin A supplementation to treat acne. He or she can prescribe the appropriate amount and monitor your condition. No matter which way you look at it, vitamin A is an essential vitamin. It's important for so many metabolic processes that a deficiency can be quite serious. Luckily, it's easily obtained from food sources. Both animal products and vegetable sources provide an abundant and tasty variety. Vitamin A helps build strong bones, healthy lungs, sharp vision and clear skin. Among vitamins, A is the king for health and well-being.